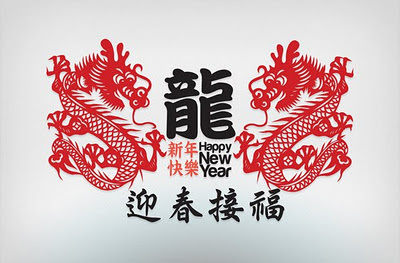 To all my readers (if any), I wish all of you a happy and prosperous Kong Hee Fatt Choy (or Gong Xi Fa Cai)! May the year of the water dragon bring you and your family much health and wealth. This is my year - I'm a Fire Dragon, and here's hoping my flames burning bright won't be doused. Have a good holidays, be safe and come back from wherever you guys are going in one piece. I love all of you, God bless!